0:46 – Jason talks about the podcast and introduces Rob Frohwein (Co-founder & CEO of Kabbage). 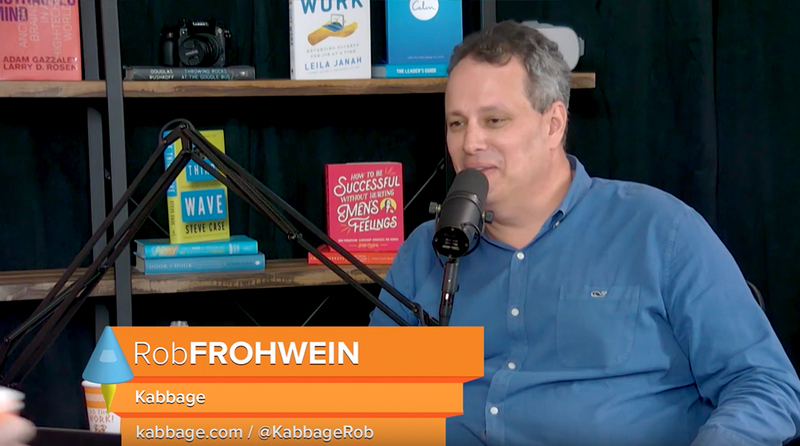 3:22 – Rob talks about founding Kabbage, the inspiration for it, and how it works for small businesses looking to get a loan. 10:22 – Jason thanks sponsor Segment. To see if you or a startup you know qualifies, check out segment.com/twist. 12:03 – The difference between Kabbage and banks like Bank of America, loan turnaround time, and thoughts on crowdfunding. 23:30 – Jason thanks sponsor LinkedIn. Claim a $50 credit toward your first job posting: linkedin.com/twist. 25:55 – Raising money with Softbank, avoiding distractions after raising, and thoughts on staying private vs. going public. 35:20 – Taking money from and supporting countries where there are many human rights violations like Saudi Arabia and China. 40:05 – Jason thanks sponsor Squarespace. Visit squarespace.com and enter offer code: “twist” to save 10% on your first purchase of a website or domain. 42:03 – Jason and Rob talk about product extension for Kabbage and the importance of permission from customers to launch another product/service. 46:14 – The two discuss Kabbage’s recent survey revealing harsh realities on the impact of cash flow, and thoughts on crypto and distributed ledger technology. 51:42 – Conversation around the climate in America today and the country’s future concerning entrepreneurship.